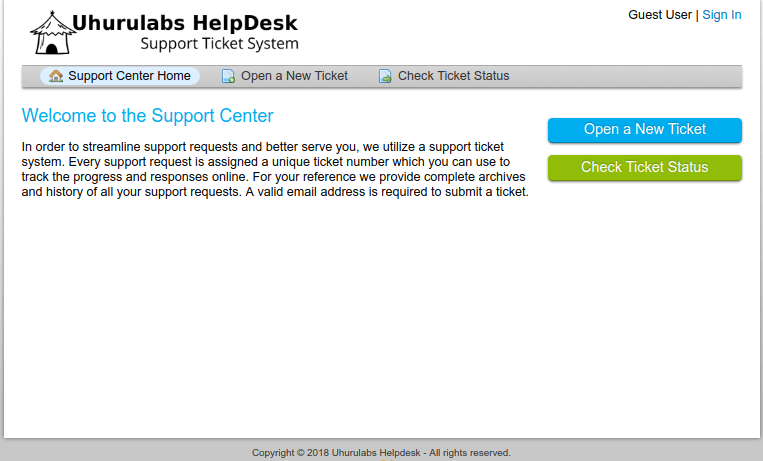 Uhurulabs helpdesk and task management systems are based on osTicket, its core features not only rival, but also exceed most high-priced solutions. 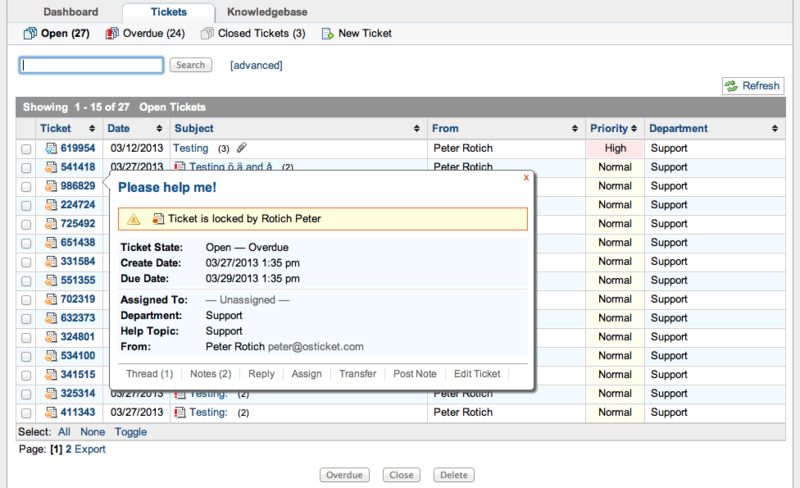 Customize the data collected from users when submitting a ticket to help get straight to the issue. You can create custom lists of data to add to each ticket or specific help topics for clients to choose from when creating a ticket. 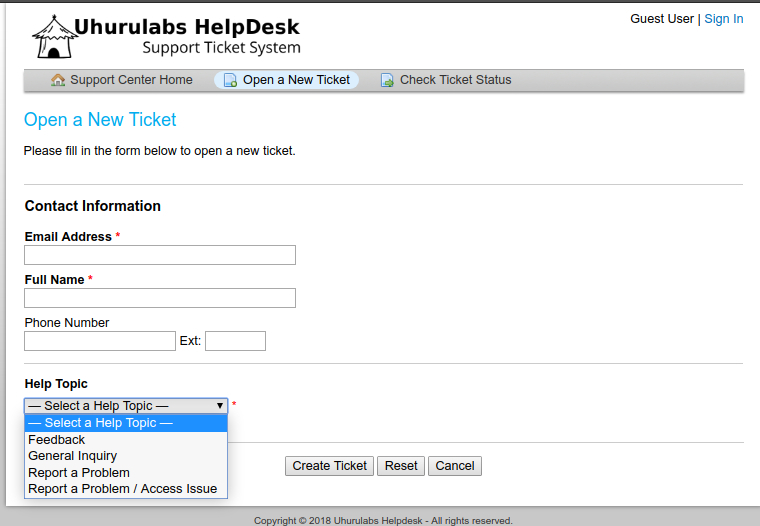 Custom Fields/Forms/Lists can be added to each web ticket created or only show up when a specific help topic is chosen. They can be configured as best suits your business needs. Define rules to route incoming tickets to the right departments or staff members, and action triggers. By using the filter system, osTicket empowers you to automate the creation and routing of tickets. Set actions such as ticket rejection, automatic department assignment or even send a canned response! 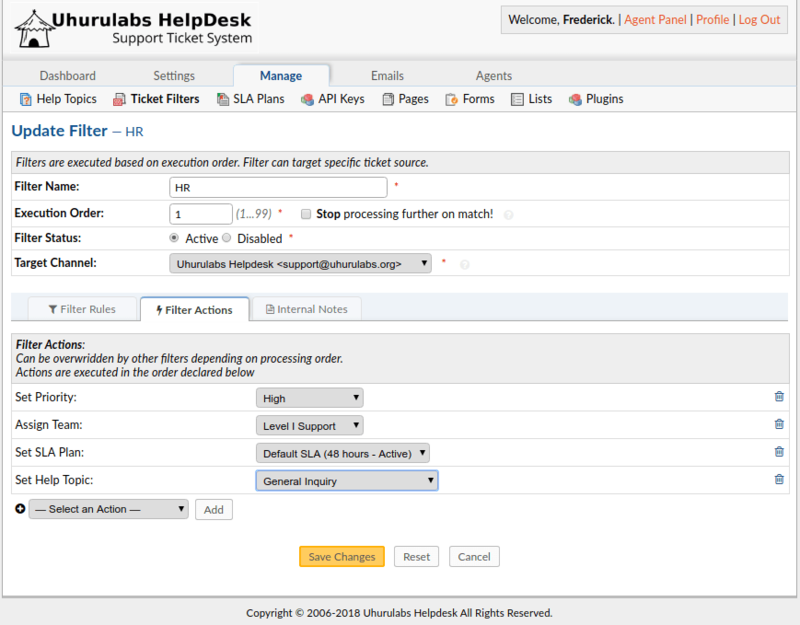 Configurable help topics for web tickets. Route inquiries without exposing internal departments or priorities. Tickets can be streamlined for faster response times by being routed to pre-determined departments. Combined with custom forms, you can design a form for a specific help topics to gather additional information for specific requests. Ticket locking mechanism to allow staff to lock tickets during response and avoid conflicting or dual responses. Avoid multiple agents responding to the same ticket at the same time! You set the amount of time the lock remains on a ticket. When a ticket is locked, other staff can not respond to the ticket until the lock expires. All support requests and responses are archived online. User can login using email and ticket ID. No user account or registration required to submit a ticket.